I'm too lazy to do this research, but I'm fairly certain that was the longest break I've ever taken from blogging. For the past two weeks, we have been moving warehouses at work and I have been so dang tired when I got home that I just had no energy to get out the laptop and start typing. I also have a confession to make. I've really turned my focus to building Dallas Love List and let VTIM take a back seat, both on Instagram and on this blog. It is just so darn fun to build up Dallas Love List. It grows so quickly and quite frankly... it is pretty easy. Did I mention that I think everyone should start a local instagram account for your city???????? As a bit of a catch up, seeing as I've pretty much been MIA for a month, CB and I decided to do a NO SPEND NOVEMBER. We knew December was going to be a doozy as far as expenses go (oh, hi, I'll be in NYC by 11pm tonight) so we made a deal to not spend any money in November. We did SO MUCH FUN STUFF though. How, you ask? Well, in our No Spend November deal (let's call it NSN) we decided that we could only do something if it was free. Although I am getting a few invites for Dallas Love List here and there, they certainly aren't flying in for me. So, if we wanted to go have fun, I had to go out and ask for it. Here are just a few of the fun things we did in November -- THAT COST NO DOLLARS. #DallasLoveList 163 || Happy 5 Years @deepellumbrewing 🍻🎉Had the most fun celebrating the occasion with @ishimusic last night! So what's my big secret??? Well, I simply just asked, and they said yes. BUT how do you know WHAT to ask? And WHO to ask? And How to ask it? Well, now that I do have a secret for! 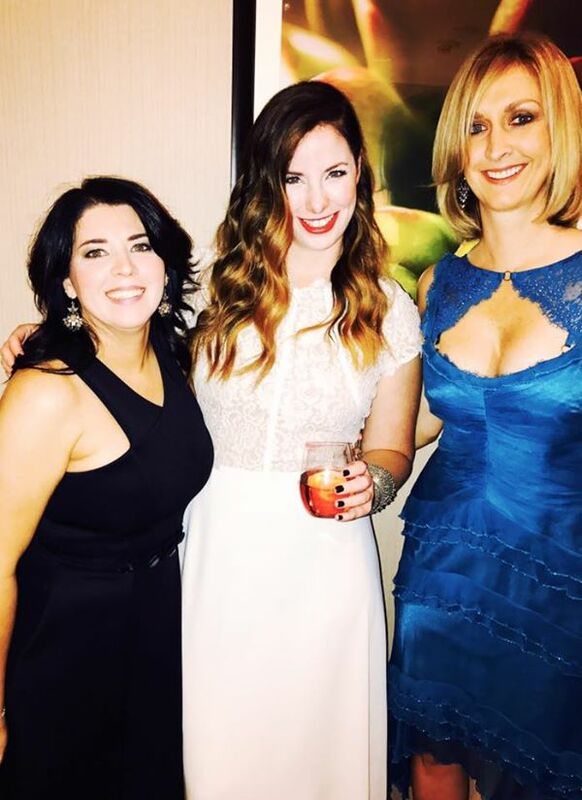 I actually took my pal Helene's Instagram for Success Course. I took Helene's course before starting Dallas Love List. Are you ready for a recap of how quickly that has grown? I'm blown away by it's success and also with how much fun I'm having growing that account. 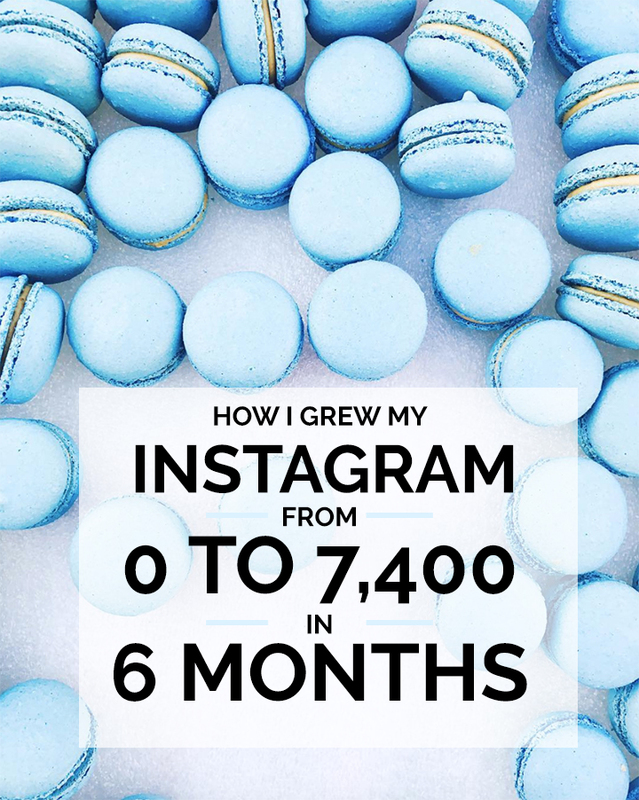 It was so easy to find my voice, my personality I wanted to portray and to carve out my nook on Instagram strictly because of Instagram for Success. Here are a few things that you will learn are guaranteed to help you grow. 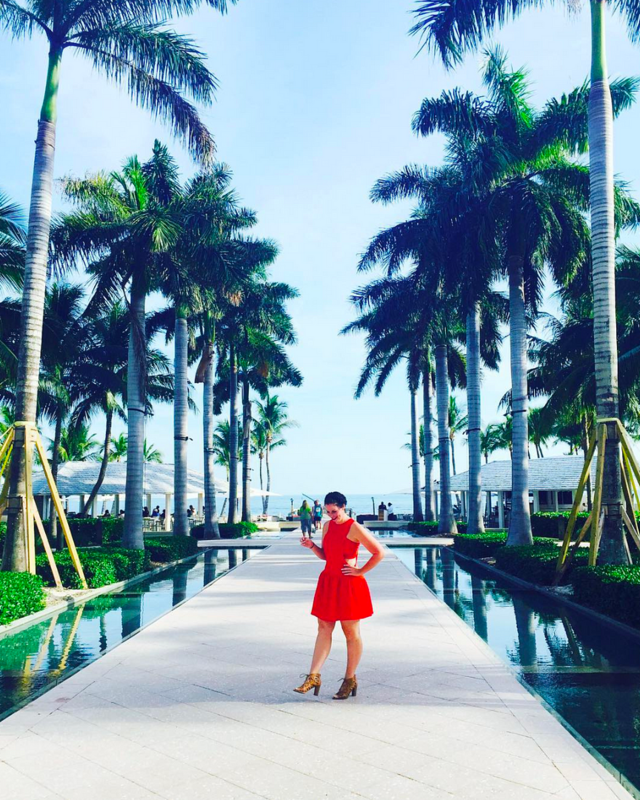 Learn how to effectively approach brands you'd love to work with on instagram. Plus, one of my favorite things is in one of the bonuses that Helene is offering right now. She's going to give you a social media content calendar for the entire year!! That's over 2,000 ideas for Instagram. That is priceless to me, because I swear I get writers block (you know, so to speak) on Instagram! That bonus offer ends Monday. 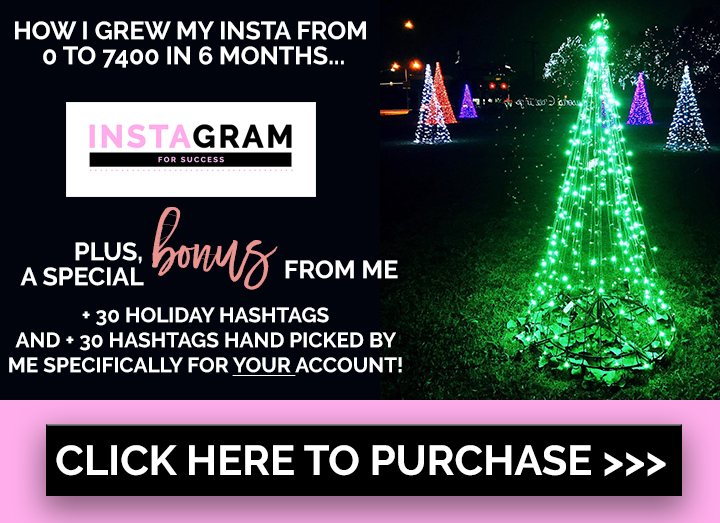 If you purchase through my link below, I'm going to email you directly 30 of my favorite holiday hashtags to use this season, as well as a second list of 30 hashtags targeted specifically to YOUR Instagram account!